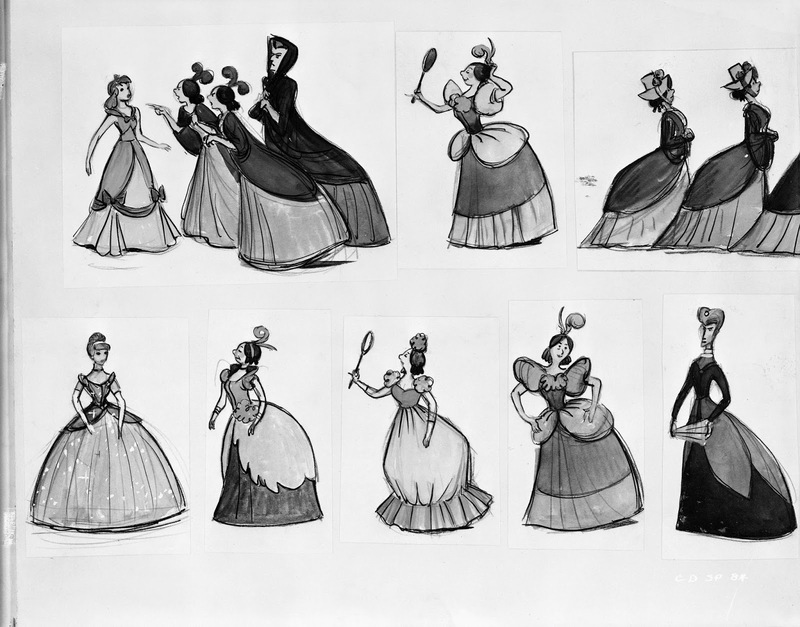 After my presentation on Marc Davis last Saturday at the Walt Disney Family Museum, his art is still on my mind. Beside animation Marc was involved in many aspects during a film's pre-production phase. 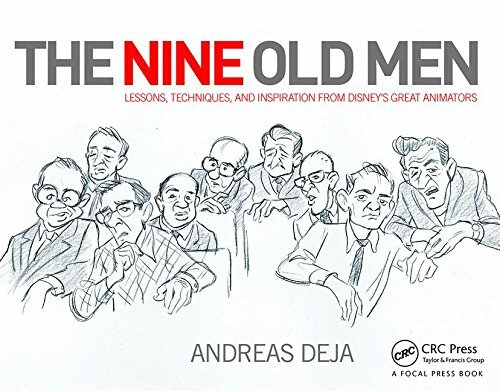 He often helped out with story work as well as character, costume and color designs. 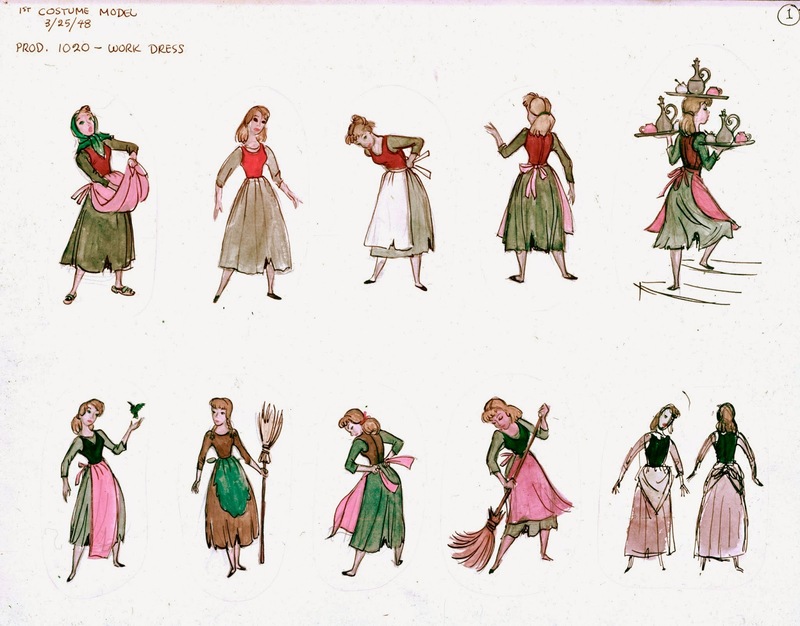 In these drawings Marc simplified the human figure in order to effectively show how a variety of outfits would look on Cinderella. 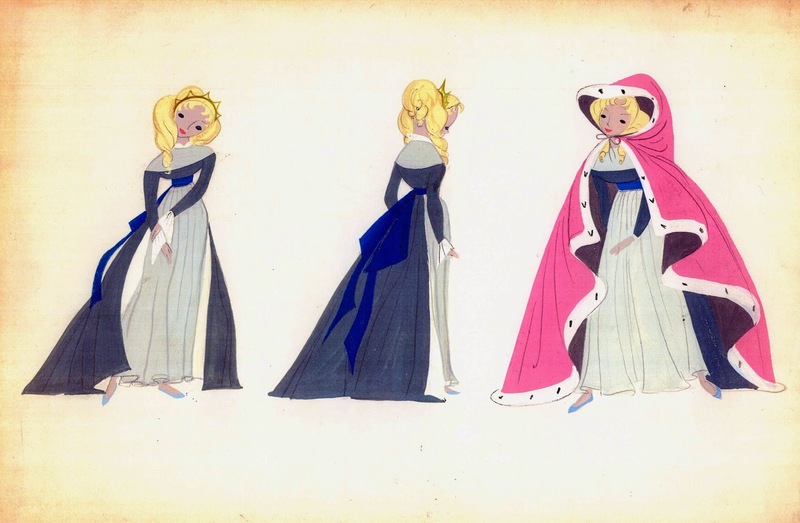 Mary Blair's stylized concepts focus on strong graphic shapes and contrasting colors. 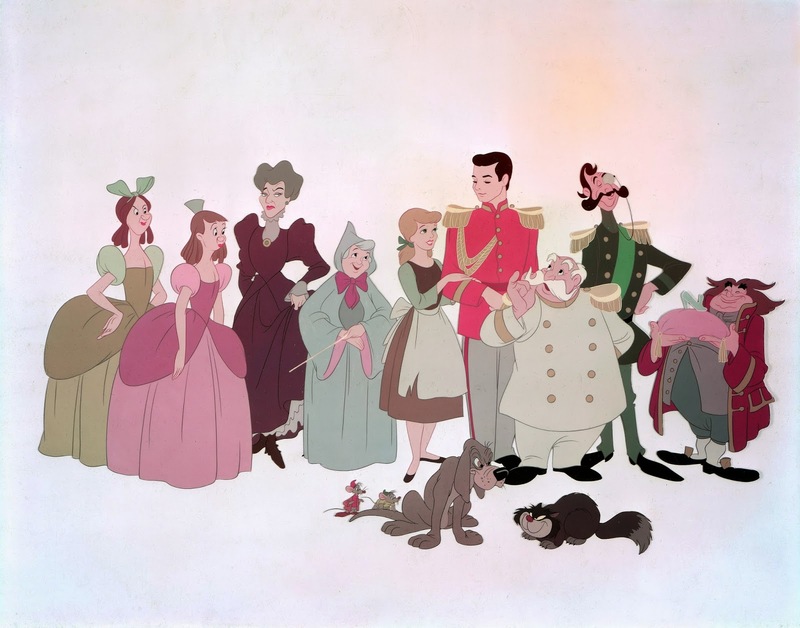 An early color model cel showing most of the film's cast. 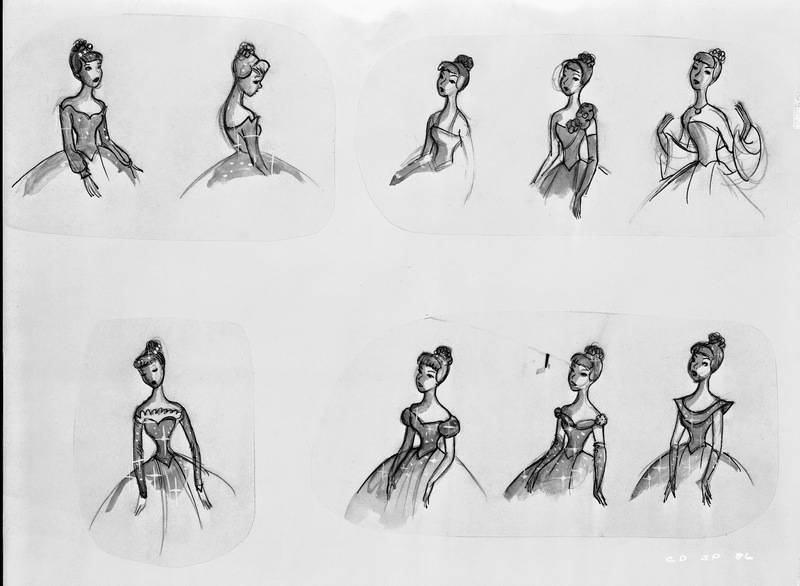 The somewhat unsure line work indicates that more work needs to be done to give the characters a more refined and polished look, worthy of a Disney production. 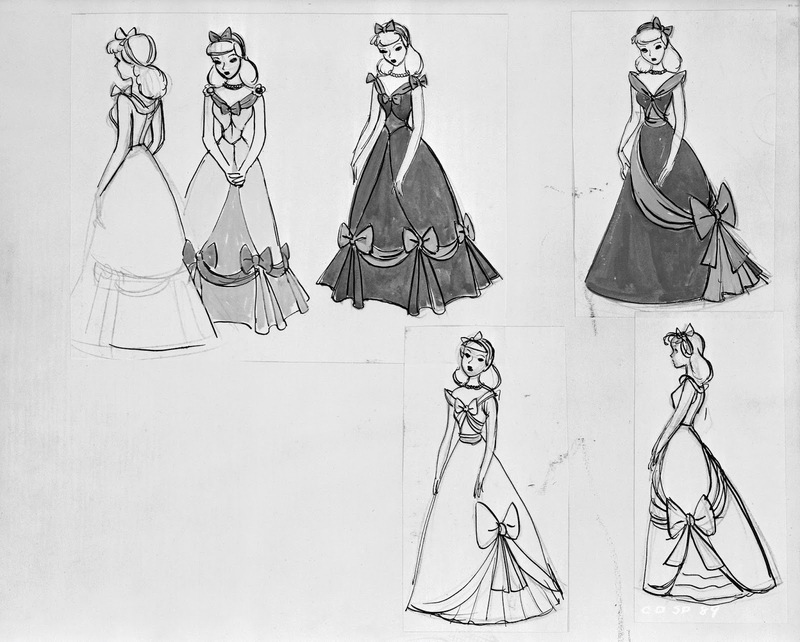 Cinderella is a little short, and the King's Lackey would go through a complete design change.